Rose is an expression of your love and care for someone you admire the most. It is not necessary that you send roses to the one who is fit. It has been a traditional way of sending roses and flowers to a patient so that the freshness of the flowers brightens their day and spread happiness with no stress. It is also believed that flowers can help a patient recover soon. When it is a cancer patient, it adds more value, cancer being one of the life-threatening diseases. 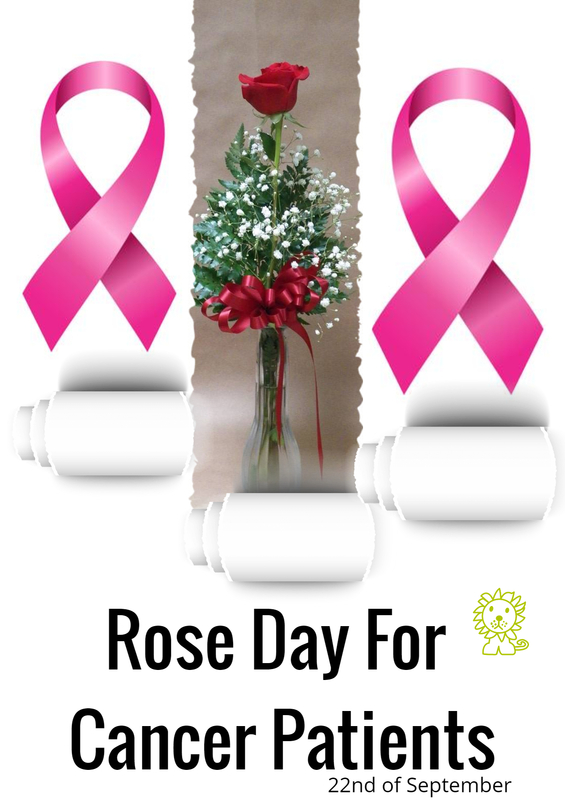 Rose day for cancer patients has, therefore, been dedicated to cancer fighters across the globe on the 22nd of September every year. Let us know more about this day and how you can make it special if someone very close to your heart has been fighting this battle. This day has been giving hope to those suffering from cancer. When a person is diagnosed with the disease, people shatter and lead a stressful life. At this point in time, doing everything possible you can for your loved one can be a ray of hope for them. Anything positive will let them live a day longer. The day has been named after a resident of Canada, Melinda Rose. She suffered from Blood Cancer. She was 12 years old and doctors believed that she would live for another few weeks; however, she lived six months longer after the declaration. She encouraged people around the world to face the disease with a big smile. Since then, the day has been observed worldwide. What special Can You Do for Your Dear Ones? Special people mean someone close to your heart. If you know of someone and want to make it a beautiful day for the person, you can send roses on this day. You can meet the person and hand the bouquet of roses or get it delivered if you are away. Your presence does not matter. The effort matters. There are stores online that take your order and get the roses delivered according to your convenience. Choose the store and open your heart and pocket to get a bouquet of roses that will leave a lasting impression. A smile to a cancer patient is something that will keep you motivated for the rest of your lives. The gesture not only helps the person receiving it but also the person giving. Are you the one willing to make a change?